When you think about your ideal kitchen, which details comes to mind? Is it the stunning addition of your favourite colours, sleek and stylish countertops, modern appliances or modern minimalist inspired decor? 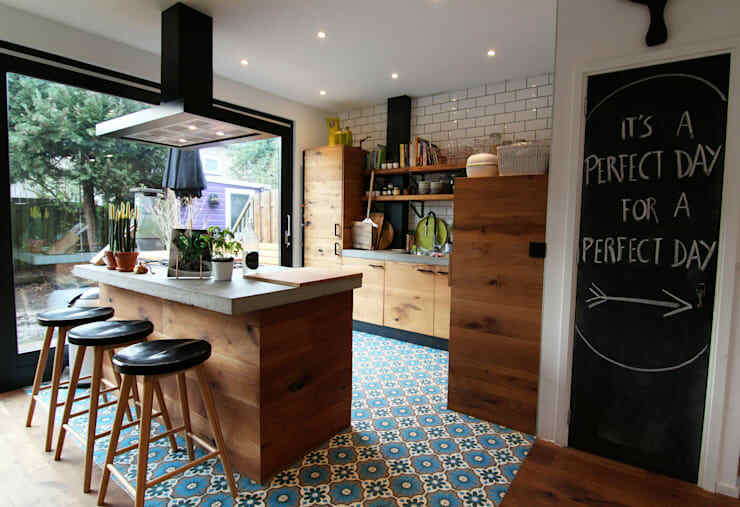 Well, in this feature we consider 14 amazing and affordable kitchen ideas that can be easily implemented in your own cooking space. So whether your home is the ultimate in modernity or enjoys the wooden and stone elements of rustic design, this feature is an inspirational option for you. 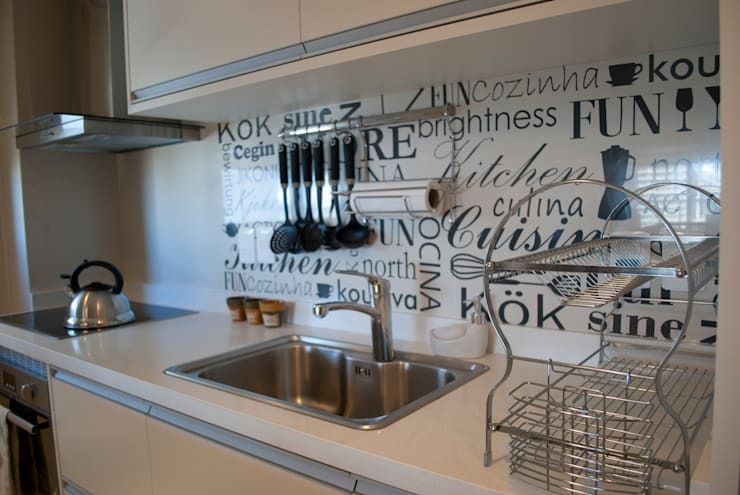 Adding a splashback to the space behind your sink, means that it will be easier to clean and look a lot more interesting than a plain and boring wall. 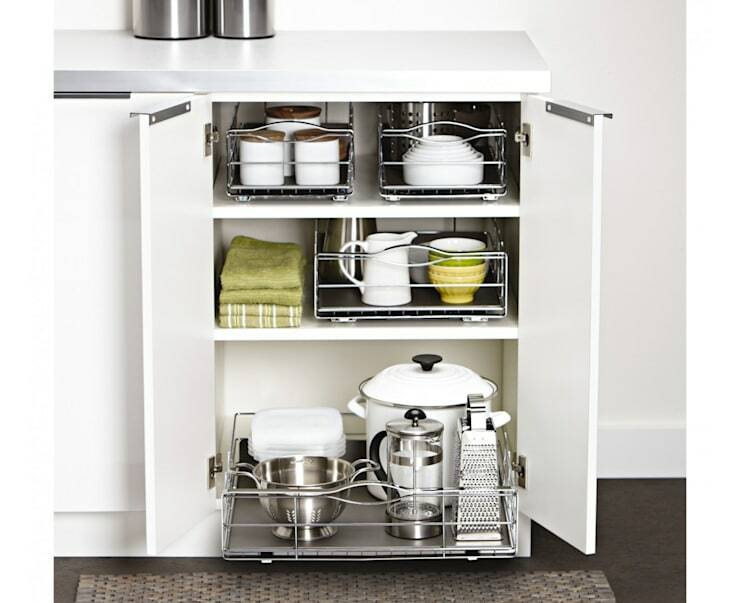 Store some kitchen utensils here and free up drawer space too. 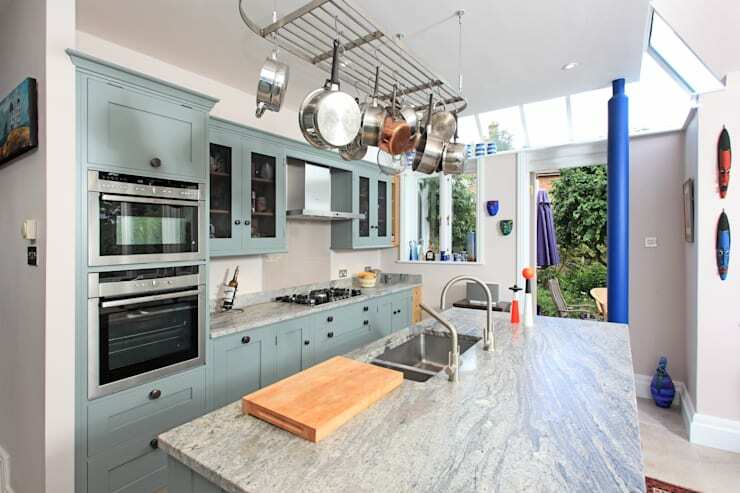 The combination of colours is an important part of a designer kitchen too. 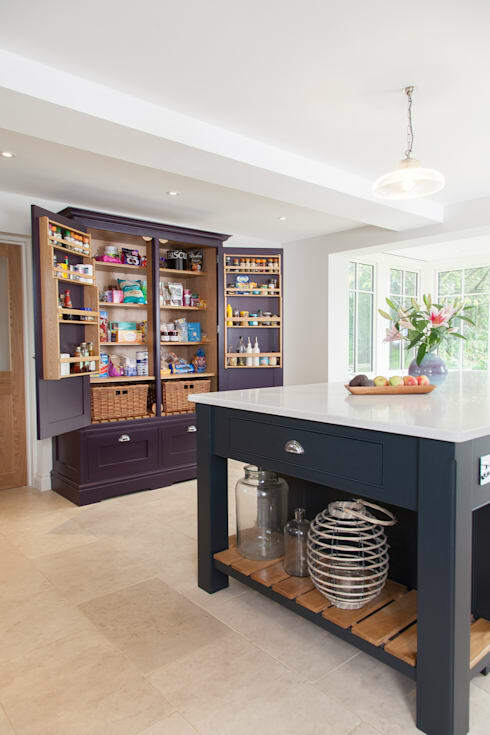 Go for some wooden cabinets and shelves to store your kitchen essentials. 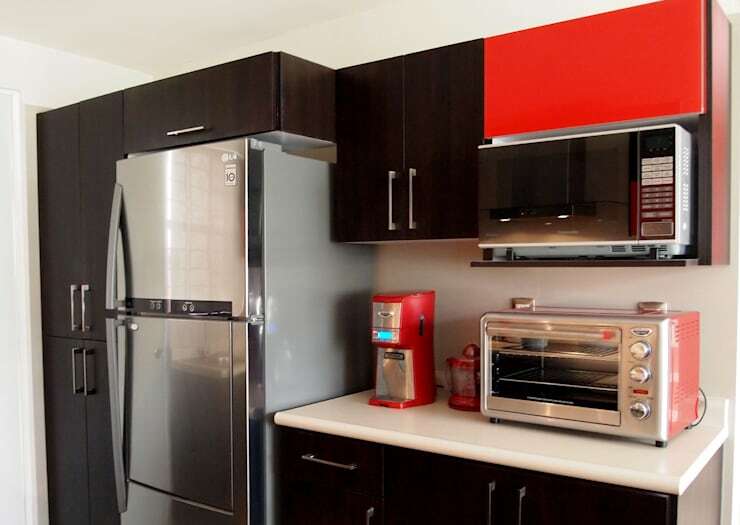 Planning your kitchen is key, especially if you lack space, so opt for some sleek modern appliances. Enhancing the lighting is the first step to a more fabulous interior. 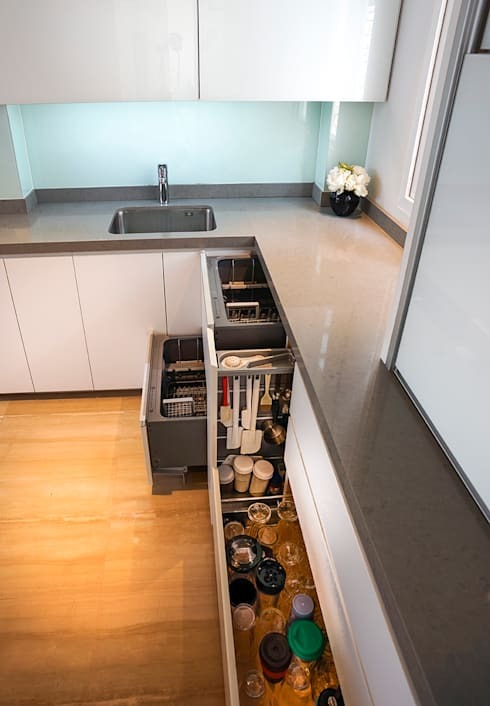 Storage is the best way to keep your counters uncluttered, so utilise your drawers perfectly. 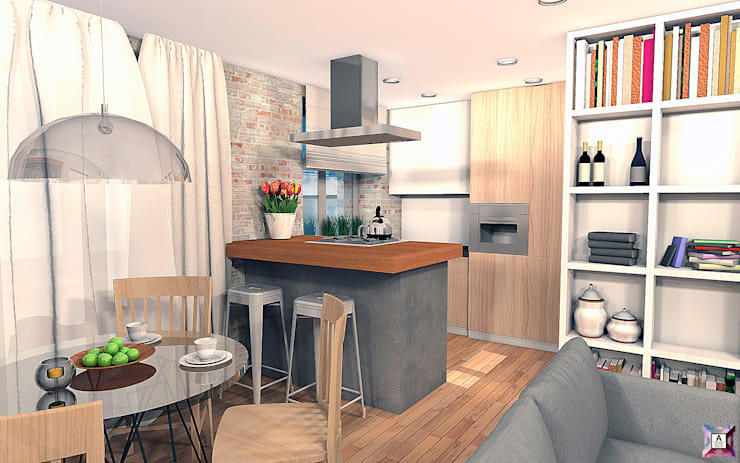 If you have a compact kitchen in an open plan set up, then keep colours neutral. 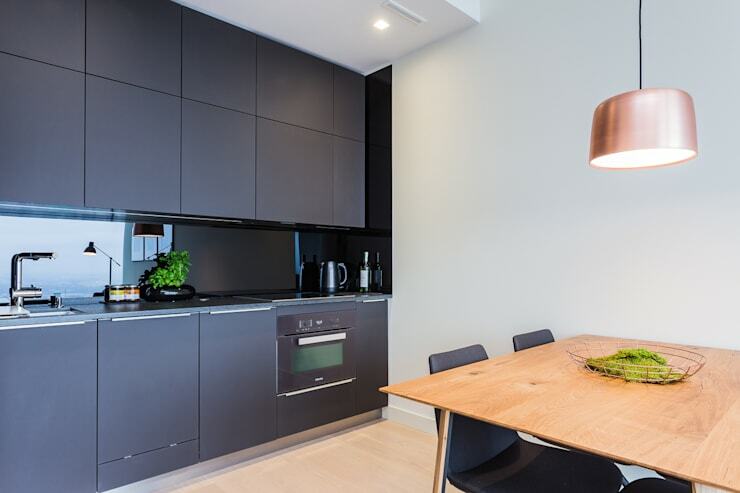 When deciding on kitchen cabinets, interior designers recommend opting for the minimalist style which will make your kitchen trendy and contemporary. 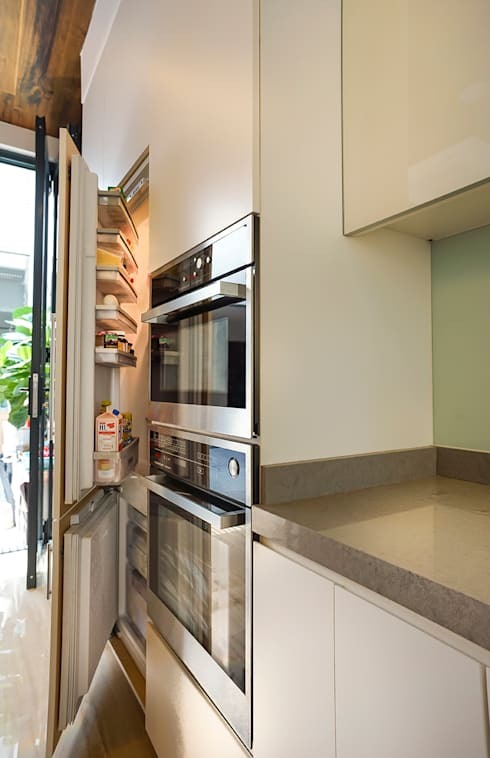 You may have one cupboard that stores all your groceries, so go with extra shelves to create space for those necessities and keeping track of your stock will be easy. Keep your pots, pans and crockery items tidy with these pull out racks. Magnetic spice jars are great because they allow you to access your ingredients efficiently. 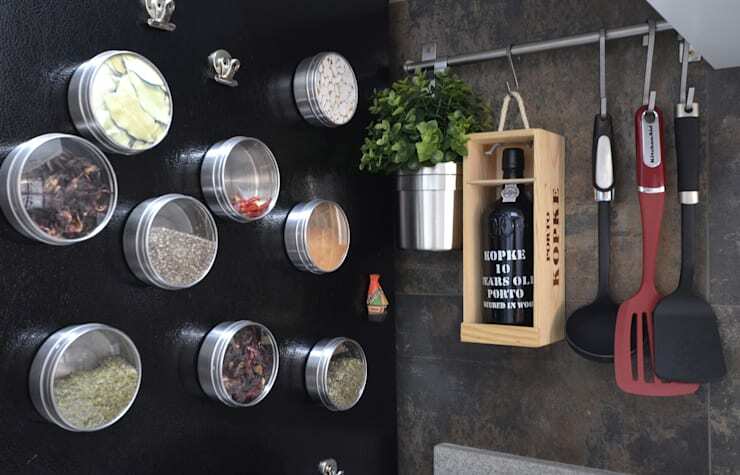 Hanging storage is a rustic method to keep pots and pan within arms reach. 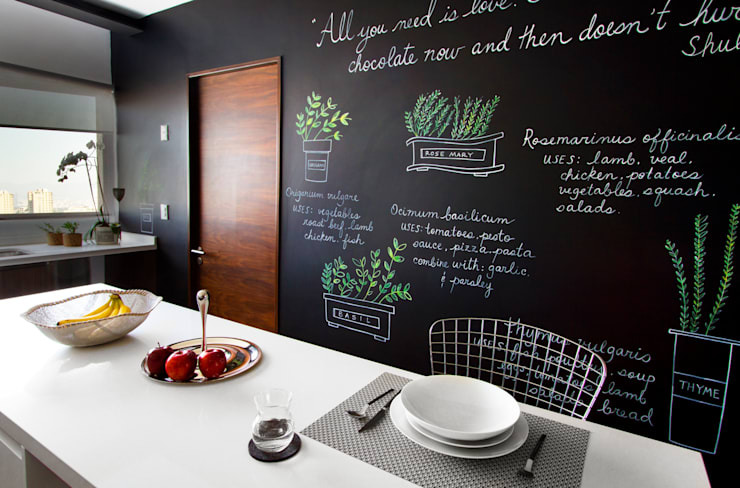 Splash some amazing blackboard paint to the wall of your kitchen and keep track of your grocery list, the recipe you're busy with or even that parent teacher meeting schedule. How about these: 11 easy ways to make your kitchen more beautiful—in just one day!? 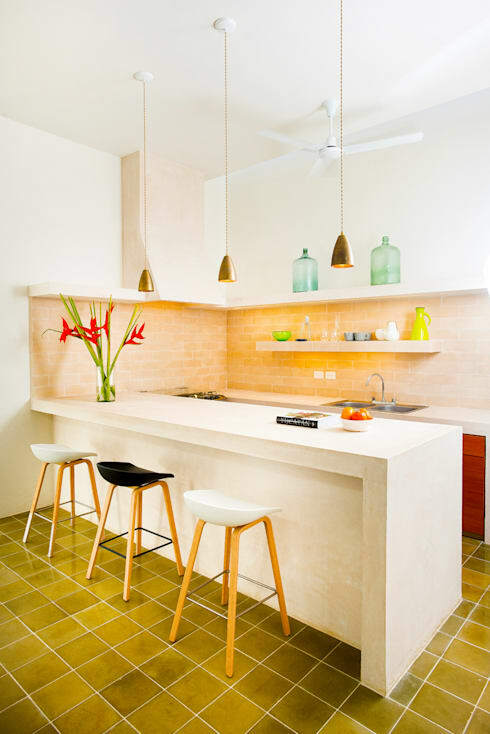 How have you added style to your kitchen?